Services – Dirk’s Truck Repair, Inc.
Dirk’s Truck Repair is a full-service shop for diesel trucks and trailers, handling everything from major repairs to annual inspections. Our friendly staff of knowledgeable parts representatives and professional diesel technicians have the training, experience, and ASE certifications to complete work on a full range of diesel engines and truck trailers. We service everything from diesel powered pickups, RV’s, medium duty trucks to class 8 road tractors. 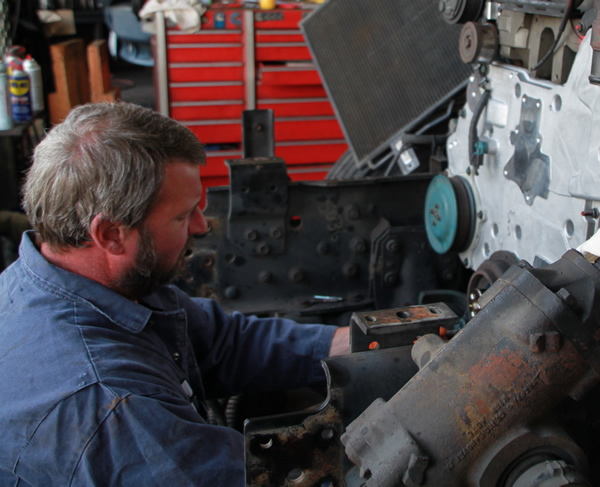 Our experienced factory trained personnel and well-equipped Lakewood, WA facility allow us to efficiently diagnose and correctly repair your diesel truck so it’s done right the first time. Choose from our wide array of diesel truck services including preventive maintenance, DOT/emissions inspections, RV & Bus repair, tractor trailer repair, fleet services, and roadside assistance. If you’ve been searching for a full-service diesel truck repair shop you can trust, look no further than Dirk’s Truck Repair in Lakewood, WA. Consumer Reports says word of mouth recommendations, certification by the ASE and membership in the BBB are some of the top ways to ensure honest, reliable service in a mechanic. We meet all of those requirements while offering industry leading warranties on all products and services we provide. You can depend on our friendly, knowledgeable staff to provide the diesel truck service you need in and around the Tacoma area. Preventative maintenance including diesel engine tune-ups, oil and fluid changes, coolant flushing, Complimentary inspections, and more. General repairs include all diesel powered engines, fuel pumps, fuel injectors, cylinder heads, engine overhauls, and High Pressure Common Rail Fuel Systems. State-of-the-art diagnosis on any make/model/size of vehicle. Our certified diesel truck mechanics work on all types of diesel trucks. DOT Certified Emission repairs. Come see us if your diesel failed the Emission Test. Brake inspection service and repair. Each of our skilled and experienced team members will do whatever it takes to safely and quickly get you back on the road.